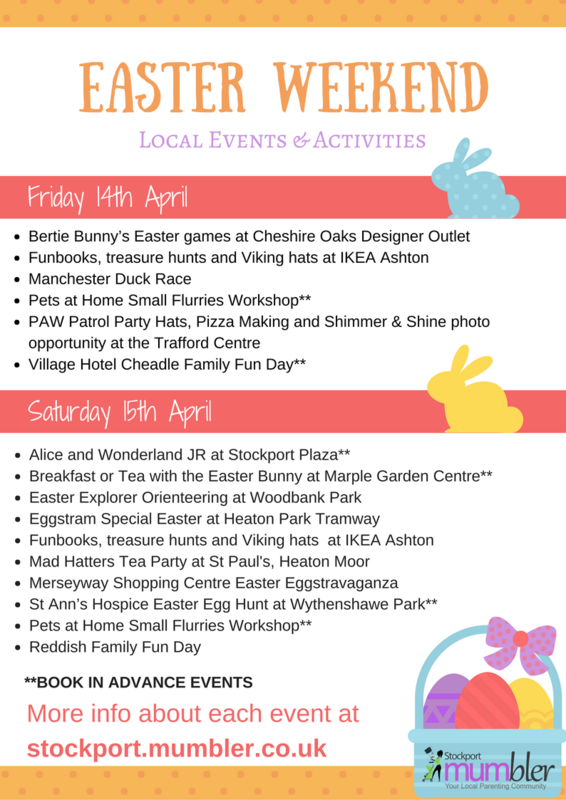 Blog » Easter Weekend – What’s On Guide! 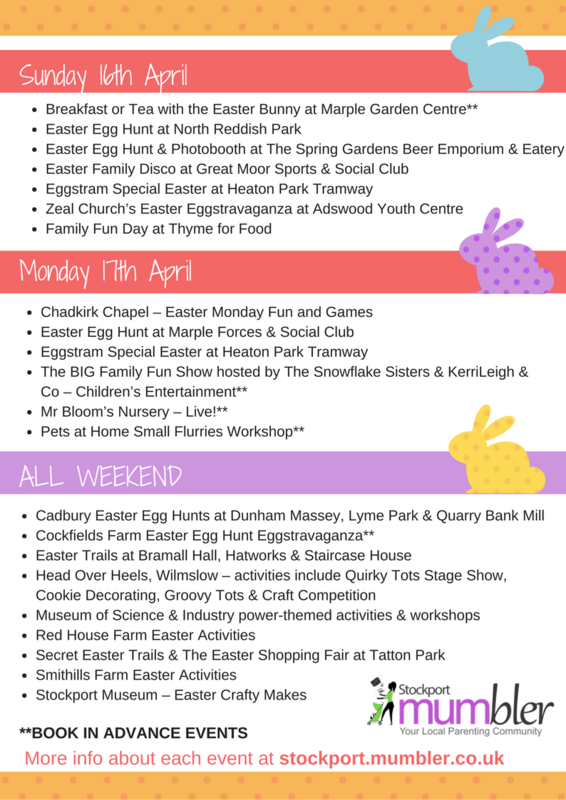 Easter Weekend – What’s On Guide! Find things to do with the kids this Easter weekend with Mumbler’s summary of what’s on below! You can see the full guide here for times and all the details of each event. All event information correct at time of writing, but Stockport Mumbler always recommend checking details directly with the organiser before you travel in case details have changed.